The Potter Greens neighbourhood is located within the Lewis Farms Area Structure Plan (ASP) and defines the southeast corner of the ASP. The Anthony Henday Drive ring road runs the length of the eastern border of the neighbourhood, providing residents with excellent access to other parts of the city. 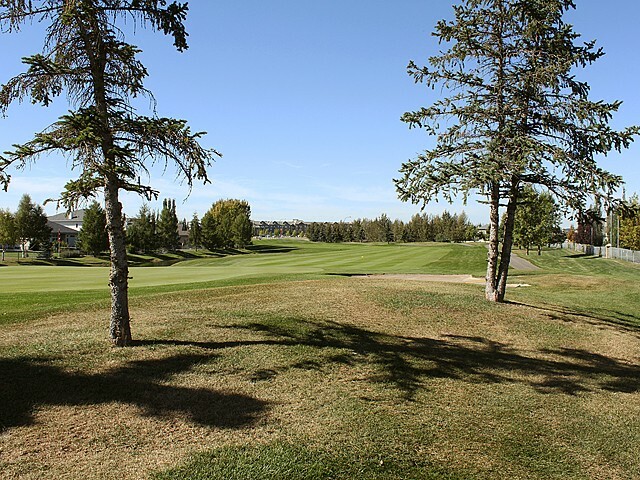 Potter Greens is also bounded by 87th Avenue to the north (Suder Greens Drive), 207th Street to the west (Lewis Farms Boulevard), and 79th Avenue to the south (Whitemud Drive). Residential construction began in the 1990s, continued on into the 2000s, and is still under development. 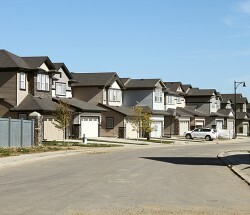 As of 2006, low-density housing made up the entirety of the housing stock in Potter Greens, with single-detached homes accounting for 80 percent of all residential units, and semi-detached units making up the remainder. Once complete, however, the neighbourhood will accommodate a more balanced mixture of housing types and densities. A school site has been set aside in the middle of the neighbourhood, and the associated park site provides a key central feature for Potter Greens. A transmission pipeline, which traverses the neighbourhood from east to west across the southern portion of the neighbourhood, has been landscaped as a linear park, which serves to provide residents with increased pedestrian connectivity. 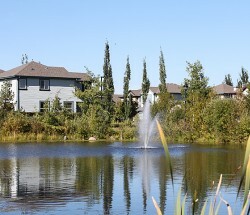 A pair of stormwater management lakes also provides residents with access to open space within the neighbourhood. 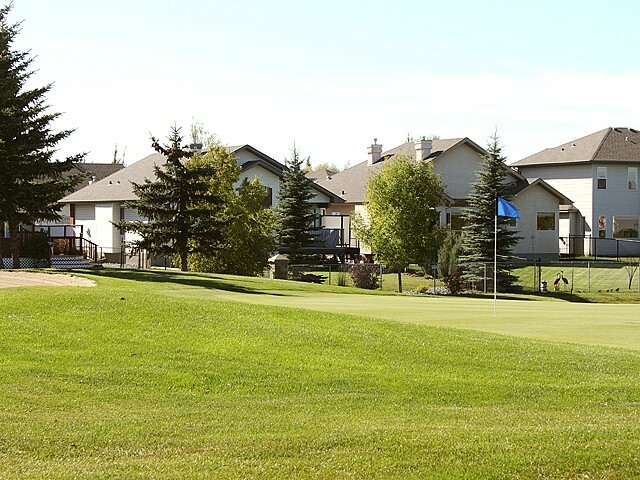 One of the main features of the Potter Greens neighbourhood design is the incorporation of golf course fairways throughout the centre of the neighbourhood. 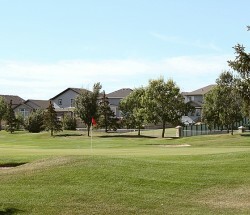 Potter Greens incorporates 6 of the 18 fairways in Lewis Estates golf course. Homes are situated to take advantage of the open-space views along both sides of the fairways and are oriented along a series of loops and cul-de-sacs that connect with the main interior collector road, Potter Greens Drive. The Lewis Estates Transit Terminal is currently planned for the northeastern corner of this neighbourhood and will provide the western terminus for Edmonton’s west Light Rail Transit (LRT) route once it has been built. The special study area, located in the northeastern corner of the neighbourhood, may accommodate transit-oriented development (TOD) once the detailed LRT planning work has been completed. 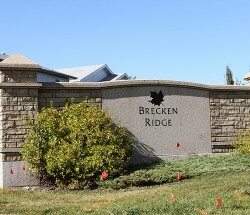 All neighbourhoods in the Lewis Farms are named after early pioneers in the Edmonton area. Potter Greens was named after Sam Potter (1892–1984), an early pioneer who ran a dairy business in the Winterburn area. After moving to Edmonton in 1927, Potter ran his dairy business until 1948 and eventually donated his land for a new community church.